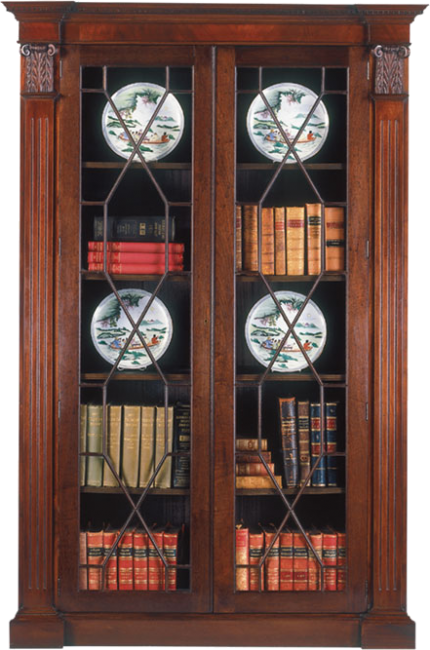 Bookcase with dentil moulding on cornice, hand carved fluted columns and capitals. Two Astragal glazed doors with adjustable shelves. Plinth base. Available with lights and glass shelf inserts. Pictured in Mahogany.